Contract Lever Taps Bath (2 Pack) is rated 4.9 out of 5 by 50. Rated 5 out of 5 by ken 7 from very nice taps. good taps at a very fair price nice action. Rated 4 out of 5 by Benji 06 from Simplicity Smart taps and easy to use. Excellent value for money. Rated 5 out of 5 by builderwilson from economical option bought to replace leaking taps of similar design. good economical replacement. time will tell how long they last in hard water area. Rated 5 out of 5 by Tapman from Great taps! Very pleased with these taps which look great quality and turn easily. 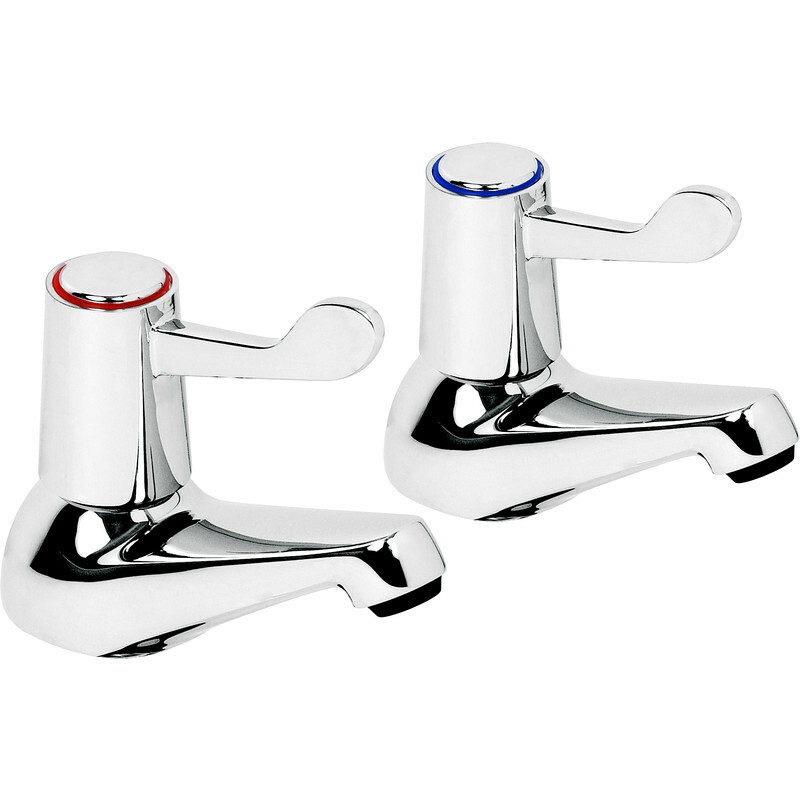 They replaced traditional taps which had corroded and become difficult to turn and would not come apart for repair. The new taps were fitted in much less time than I had spent failing to repair the old ones! Rated 5 out of 5 by KenP from Good taps Look good, work well. I bought one pair some years ago, bought these to replce an ageing pair of another make.